"A low pressure area has formed over north Bay of Bengal and neighbourhood. Associated upper air cyclonic circulation extends upto 7.6 km above mean sea level. 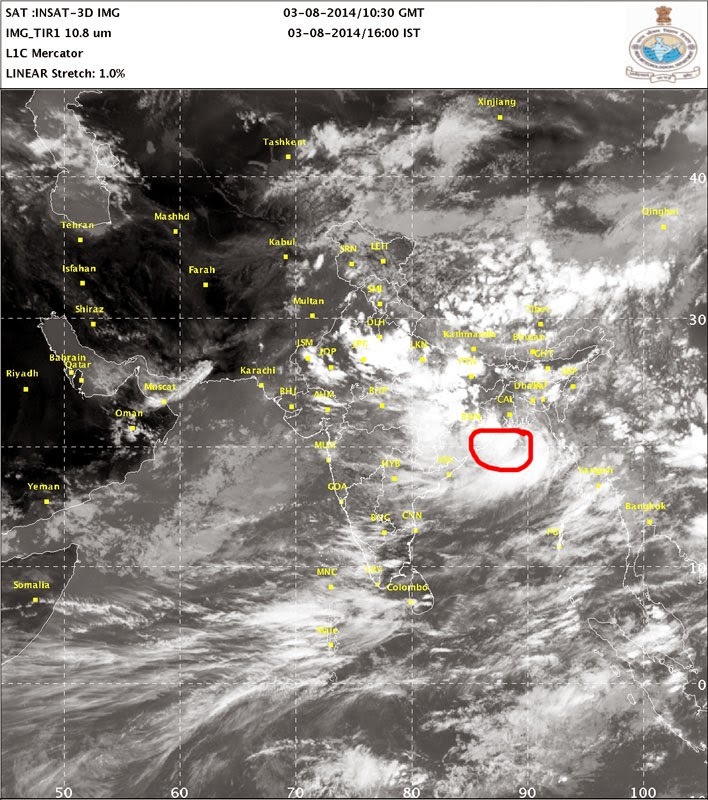 It would become well marked low pressure area during next 24 hours"
"The well marked low pressure area over Gangetic West Bengal and neighbourhood concentrated into a Depression and lay centered at 0830 hours IST of today the 04th August 2014 over Gangetic West Bengal and is close to Midnapur. It would move west­northwesterly direction during next 24 hours and weaken gradually."